A unique force in the world of illusion: His combination of psychological illusion, perceptual manipulation and persuasive technique has pioneered a new form of magical entertainment, which is unlikely to be imitated for a long while. Born in Croydon in 1971, Derren traces his interest in psychological techniques to childhood. “I was a very good liar and a revoltingly charming child”, he says. Like a lot of solitary children he developed an interest in magic but it was only later at Bristol University, where he studied Law and German, that he started to take it seriously. “I found myself developing an analytical mind-set, able to spot the loopholes in anyone’s argument very quickly”. After graduating, Derren abandoned a career in Law and concentrated on developing his skills at psychological magic. He was able to pay the bills by combining performing in cafés and bars with a sideline in portraitur. His big break came in 1999 when he was asked by Channel 4 to put a TV show together. 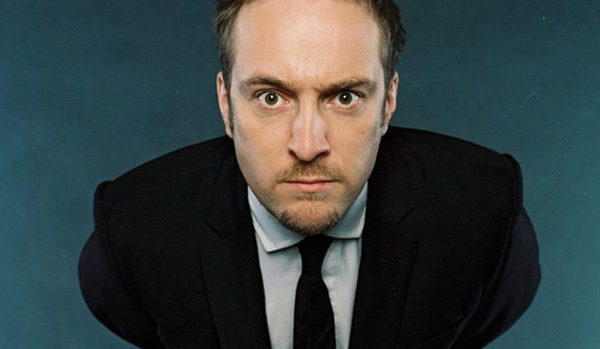 The result, “DERREN BROWN: MIND CONTROL”, was shown in December 2000, proving an immediate success. The repeat showing rated in Channel 4’s top ten. This was followed in August 2001 by another special: “DERREN BROWN: MIND CONTROL 2″, further establishing him as a hit with viewers and critics alike. “Derren Brown has taken the cheese and sleaze out of showbiz magic and restored a sense on wonder – unbelievable stuff” (Time Out), “Astonishing – utterly convincing” (Observer), “Fascinating”… (Sunday Times). After further specials and a series, Derren – always one to push forward the boundaries of showmanship and magical entertainment – caused an international furore when he played Russian Roulette on live television. “DERREN BROWN PLAYS RUSSIAN ROULETTE LIVE” secured his notoriety with the British public in October 2003. Since then he has continued to provide intelligent, stylish and controversial television, as well as hugely successful theatre runs in the West End and across the UK. His workload keeps him busy 52 weeks a year, with the occasional weekend free to paint. He lives happily with his two parrots for company, and an apartment full of taxidermy. Derren Brown is respected all over the world as an elegant and powerful performer and he enhances the evening with his art and charm, making sure your guests will talk about their evening forever.